Dakota Midday on South Dakota Public Media conducted an extensive interview with Dakota Rural Action member, Don Kelley, at his off-grid solar home, about DRA’s Solarize South Dakota campaign. In this segment SDPB’s Charles Michael Ray speaks with Don Kelley an advocate for more home based renewable energy. He’s one of those behind an effort called Solarize South Dakota that is backed by the group Dakota Rural Action. 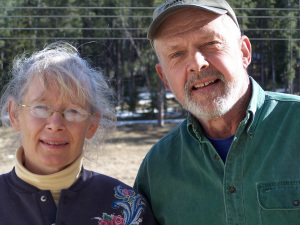 Kelley lives in an all solar home that is off the grid in the Black Hills. Click here to listen to the whole interview on Dakota Midday. With Solarize South Dakota, Don was one of a number of DRA members trained to consult with homeowners about the potential for installing affordable solar and renewable energy. Solarize has conducted over 100 consultations.